We cater to wood working industry by offering a wide assortment of wood working tools that are each designed for its niche purpose. We hold expertise in manufacturing, supplying and trading a wide range of Electric Planers. It has a solid aluminium base for smooth operation. 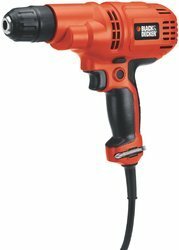 This machine comes with a depth adjusting knob on top for controlling the amount of material removal. 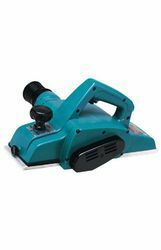 Offered Electric Planer is highly reckoned among our clients due to their sturdy construction and high durability. Moreover, we offer our product at very economical prices. 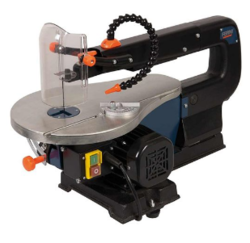 The FERM table saw is provided with a powerful 1800 Watt motor and with that you can call it a real muscleman. 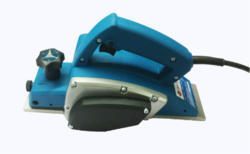 The machine has a saw angle of 90 degree, a maximum saw capacity of 74 mm and at an angle of 45 degree the machine can saw up to 63mm. The table saw is provided with a safety switch and thermal protection. The optional table extensions create a larger and more stable workbench. 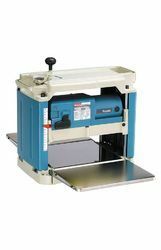 The FERM TSM1034 table saw is a very complete and versatile machine. With the table extensions you can saw larger plates. The dimensions of the table are 945 x 932mm. 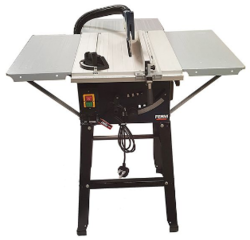 The table saw comes with the following accessories: TCT-saw blade (T40) Parallel guide Mitre guide Push stick 3 Table extensions (2 side, 1 back) Safety glasses Ear plugs. Supplied with UK 3 pin plug fitted. Looking for Wood Working Tools ?